The Sumitomo Electric Group will showcase its products at CeBIT 2017, the largest exhibition for information technology, in Hannover, Germany from Monday 20 to Friday 24 March 2017. This year about 200,000 visitors are expected to visit 3,300 exhibitors. Japan is the official partner country of CeBIT 2017 and 118 companies will be participating at the Japan Pavilion under the auspices of JETRO (Japan External Trade Organization). One of these is the Sumitomo Electric Group, which will present its information and communication products in the ELEMENT Zone. Sumitomo Electric’s Gallium Arsenide (GaAs) substrates are widely used for fibre lasers, vertical cavity surface emitting lasers (VCSEL), power amplifier & switch applications for smartphones, infrared & red LED and solar cells. Indium Phosphide (InP) substrates are used for long wavelength laser diodes, photo diodes and optical electrical integrated circuits for optical communication devices. 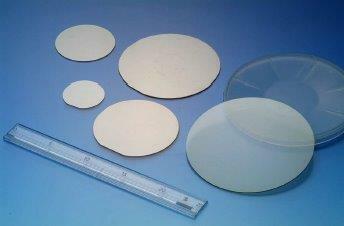 Our Gallium Nitride (GaN) substrates are widely used for optical devices in the blue-violet to green range due to their excellent material characteristics. In recent years, GaN substrates have been drawing attention for power devices and many more development projects are underway. 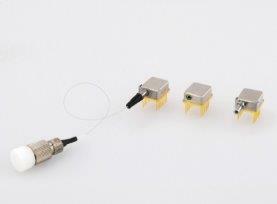 Sumitomo Electric has developed the world's smallest full-colour laser diode module comprising red, green and blue semiconductor laser diodes. This new module product is based on our experience in materials and high-precision assembly technologies. Its stable optical and electrical characteristics make the module suitable for a variety of applications, such as small projectors, illumination and various industrial and medical light sources. Sumitomo Electric has released a new series of ultra-high-fibre-count ribbon cables to meet the growing need for high fibre density in data centres. 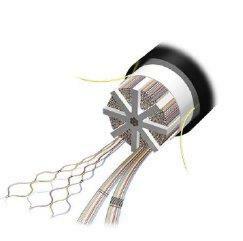 3456-fibre-count slotted core cables are the highest fibre-count optical cables in commercial use. For the first time in the industry, Sumitomo Electric has developed a fusion splicer with wireless LAN functionality and the SumiCloud™ system to manage and improve fusion splicer operation via the smartphone app. 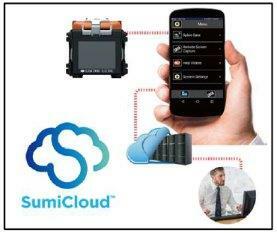 SumiCloud™ is a powerful tool that supports your fusion splicer in the field. Optical transceivers are small modules with integrated transmitters and receivers, and support high-speed data transmission up to 100Gbps compliant with various industrial standards. 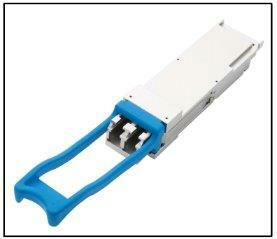 The WDM (wavelength division multiplexing) application can support larger throughput. At the booth, Sumitomo Electric will also introduce many other products associated with Information and Communication. Visitors can learn about the products through hands-on experience of the devices and board panels. For more information, please contact our European sales team. © 2017 Sumitomo Electric Industries, Ltd.